Why? Because a reviewer isn’t just writing a book report. He or she is communicating with people who don’t care whether or not a reviewer liked the book, as much as they do whether or not they will like it. So I’m very aware, every time I pull up WordPress, that I owe you the information you need to make an informed decision. That way, if you don’t like Holmes/Dracula crossovers in which Holmes gets married, Watson is a puppy who dies in the end, no less than eighty Actual Historical Personages make cameos, and Mrs. Hudson is The Ripper, you’ll feel duly warned…or ecstatic. And still I worry that I’ll get it wrong. Kathleen Kaska’s The Sherlock Holmes Triviography and Quiz Book is that rare book which really delivers on the promise “something for everyone.” Originally published in 2000, it’s been revised, updated, and provided with a more attractive cover and vastly more legible layout. Come for the quizzes and puzzles–stay for the information! At the beginning of each chapter, and at the start of each quiz, Ms. Kaska provides well-written background material, both on the story/subject matter, and occasionally on what may have inspired it. Before trying our hand at “The Five Orange Pips,” for example, we learn that it may have been inspired by a terrible incident in New Orleans in which eleven Italians were hung by a mob in the throes of anti-Mafia hysteria. The trivia included in each section is also well-chosen. You may already know one or two, but chances are excellent you won’t have heard them all. One of my favorites involves the Cairo police.†† Finally, after you’ve either emerged triumphant or gone over the Falls, you can look through the useful appendices (covering chronologies, “lists,” and scion societies, among other topics), a brief reading list, and a shopping list–er, bibliography. 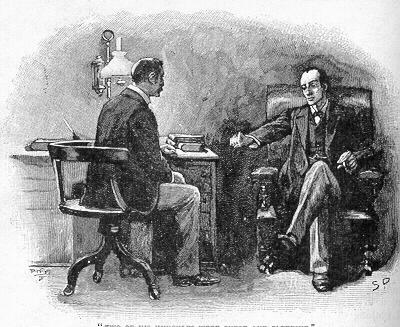 The day you opened a book (or turned on the television) and woke up to find yourself on Baker Street, you entered a world where, sure, people discuss the “big” questions–the origin of human evil, the nature of true justice, how much Canon matters, and what happened during the Great Hiatus. 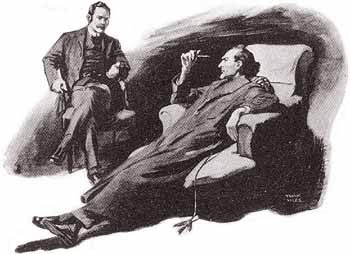 However, it’s also a place where they care very deeply about which hand Holmes used to write that letter to Watson, the fate of dogs in the Canon, why a Stradivarius could be bought so cheaply, and whether it was April or October. Quotes fly fast and furious between friends like secret handshakes, and virtually every scion society meeting includes a quiz. We care about the philosophy but, let’s face it, we’re in love with trifles. We cannot make too much of them. Which is why I can say, with certainty, that The Sherlock Holmes Triviography and Quiz Book will definitely fill up that gap on your second shelf. The Sherlock Holmes Triviography and Quiz Book is available from major online booksellers, and can also be purchased in e-format for both Kindle and Nook. Kathleen Kaska is also the author of two other trivia/quiz books (Alfred Hitchcock and Agatha Christie), as well as a mystery series set in the 1950’s featuring reporter/amateur sleuth Sydney Lockhart. Her next book, published by the Univ. of Florida Press, is a nonfiction work on Robert Porter Allen’s efforts to save the whooping crane from extinction. You can catch up with her on http://kathleenkaskawrites.blogspot.com/. **All of the choices are plausible, too. Unlike, say, those on the tests the really hot student teacher gave us in sophomore World History, back before you were born. †† Nope. Not telling. You’ll have to look it up.